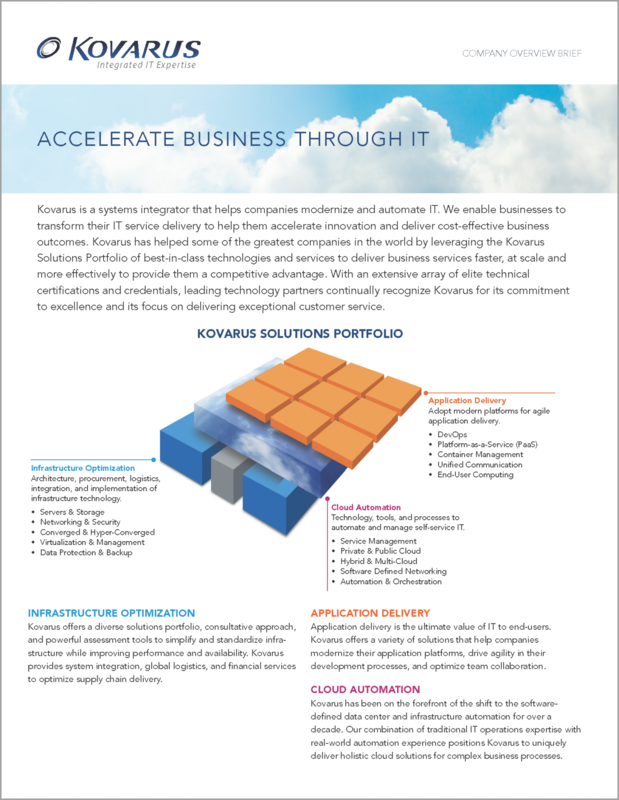 Learn more about Kovarus and its solutions portfolio. Learn more about the Kovarus Proven Solutions Center (KPSC), including demos, executive briefings and workshops. 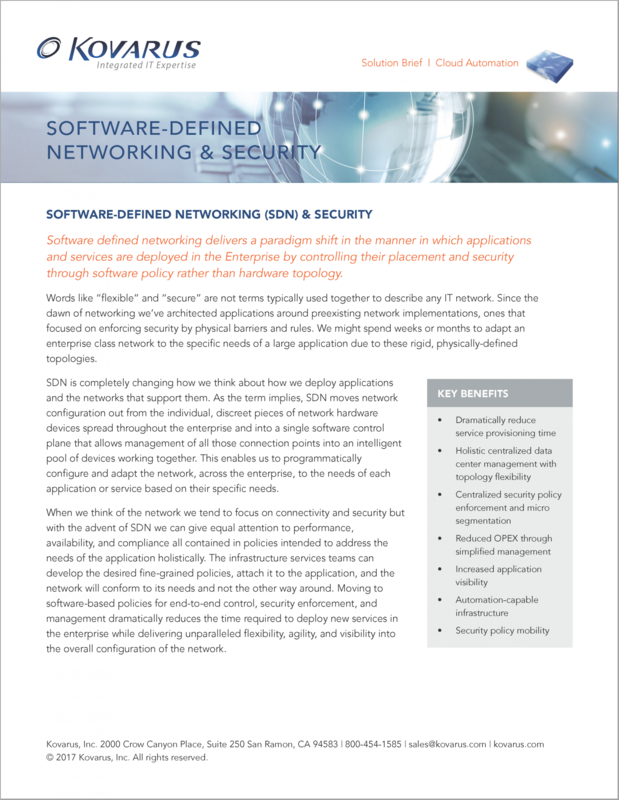 Learn more about the Software-Defined Networking (SDN) & Security solution and how it can dramatically reduce service provisioning time while delivering unparalleled flexibility, agility and visibility. 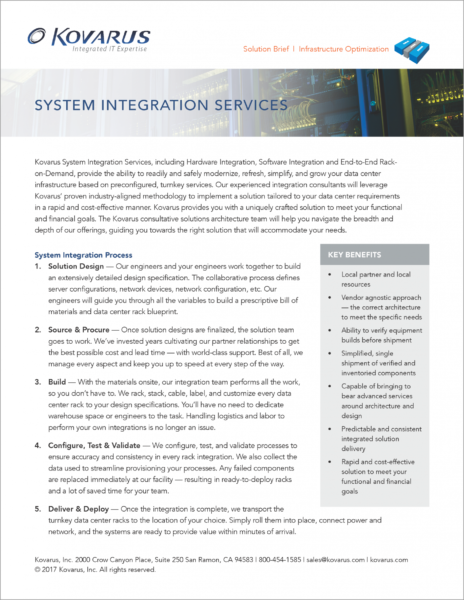 Learn more about the Kovarus System Integration Services, which provides the ability to readily and safely modernize, refresh, simplify and grow your data center infrastructure. 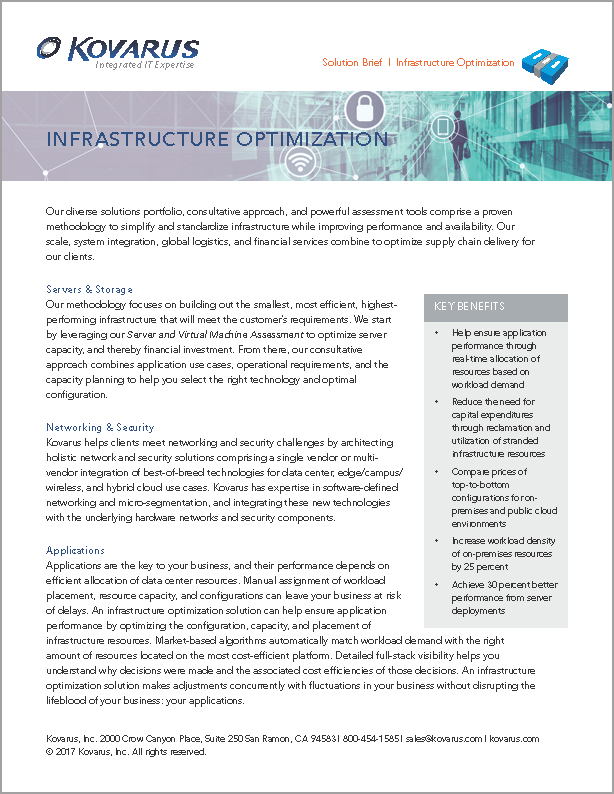 Learn more about the Kovarus Infrastructure Optimization solutions portfolio and consultative approach that helps you simplify and standardize infrastructure while improving performance and availability.